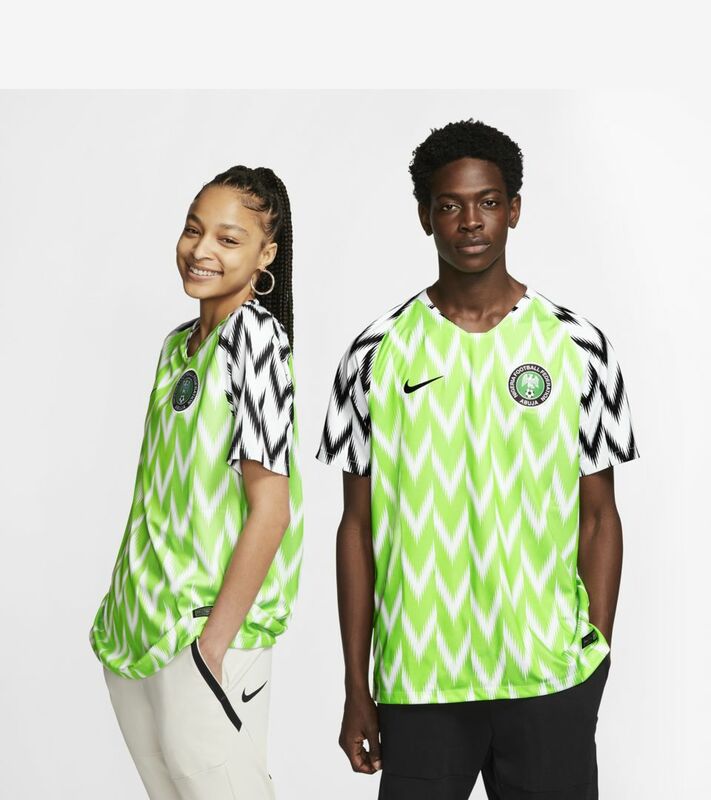 In Nigeria, when football is on, everything stops. 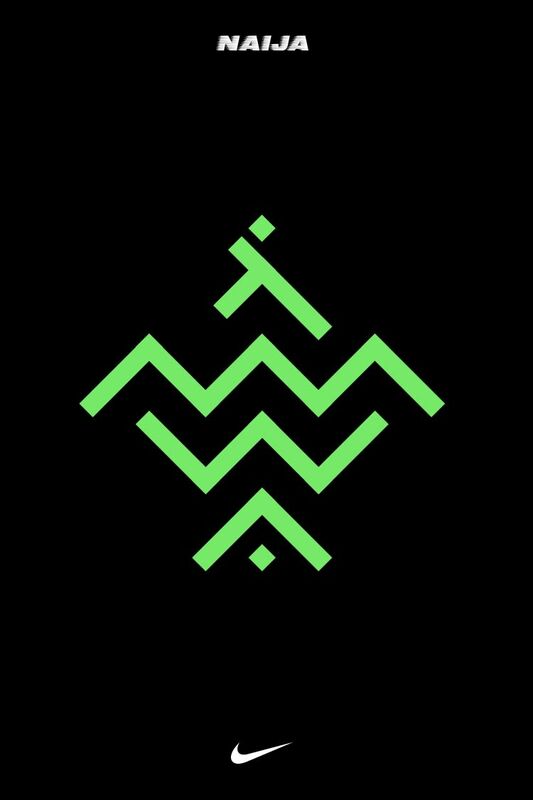 Now with the chance to prove themselves on the world stage in Russia, they'll try to make the whole world stop and see too. 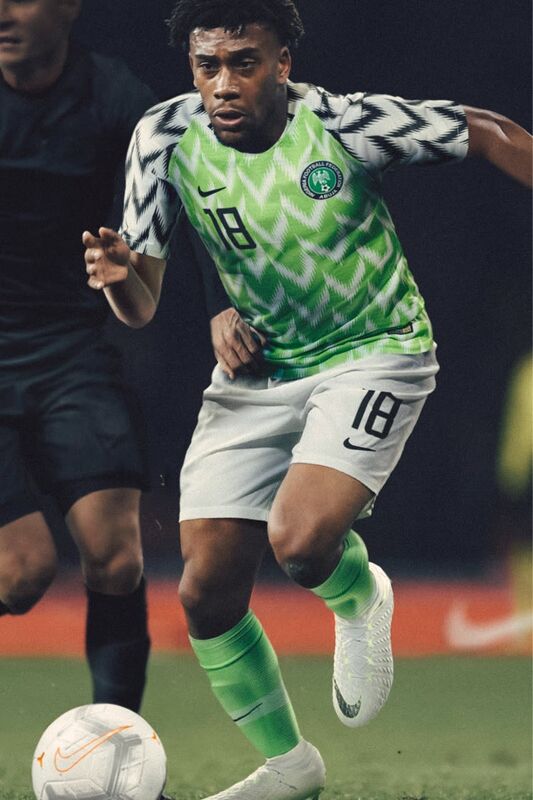 Alex Iwobi put it best: "They're gonna know Nigeria have arrived". 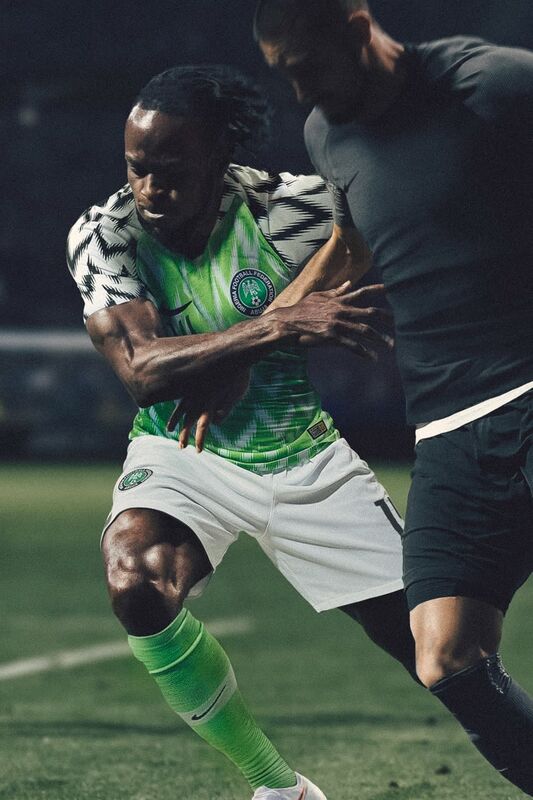 A tribute to their 1994 debut on the world stage, the 2018 home kit features the traditional green torso, with the Super Eagles-inspired black and white sleeves. 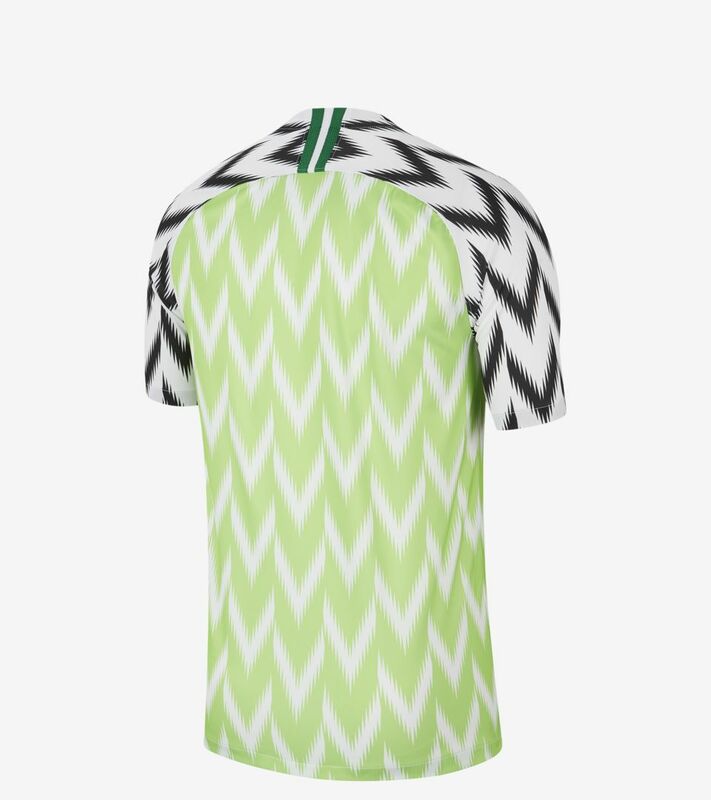 To modernise the shirt, the feather pattern has been abstracted, and the colours updated for a bold look on the pitch. 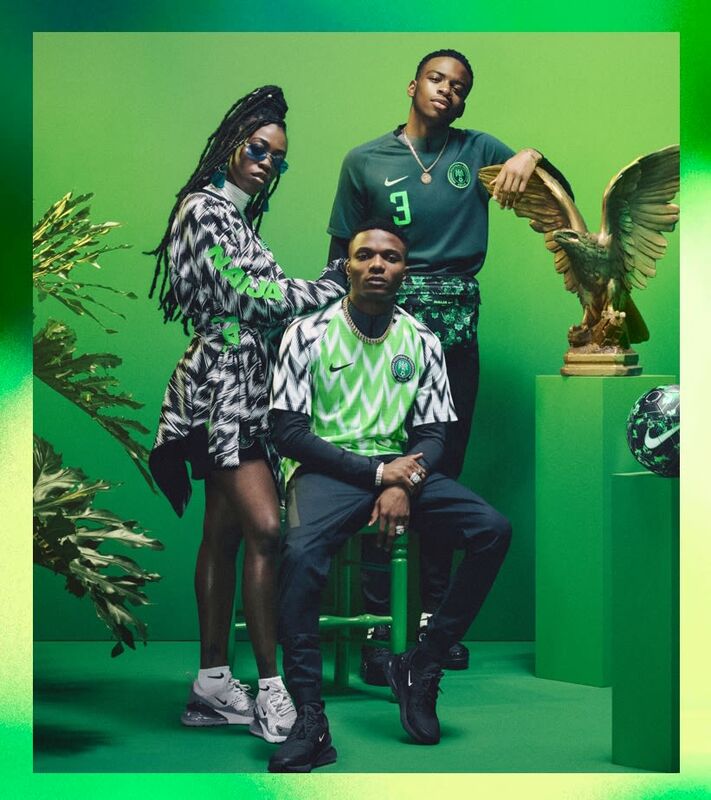 Turned into an international phenomenon by artists Wizkid, Skepta and Not3s, the 2018 Nigeria Home Kit was iconic before it even took the pitch. 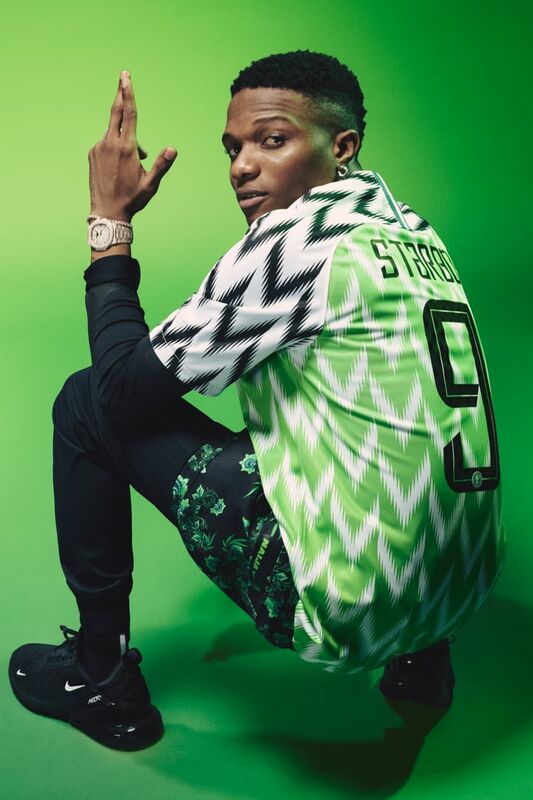 From its beginnings playing as a British colony to reaching the world stage in 1994, Nigeria's confidence is irresistible. 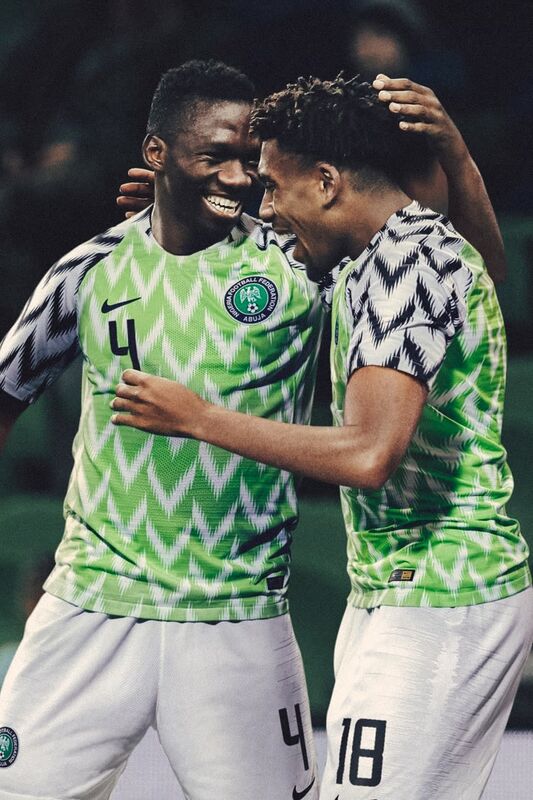 Despite drawing into a menacingly nicknamed "group of death" alongside Zambia, Algeria and Cameroon, the world's most expressive team has fought and earned their way to the international arena. 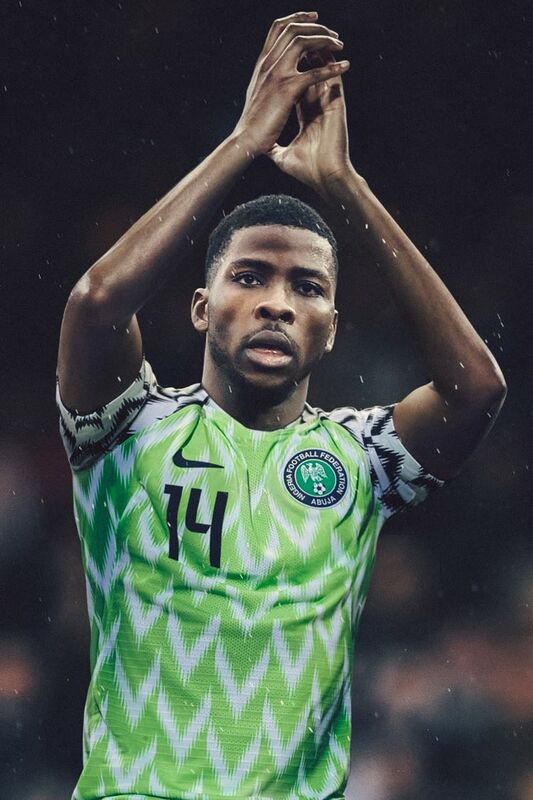 Now, all eyes are on the young Super Eagles to show the world what they can do. Lightweight on Pitch. Light Impact on Planet. 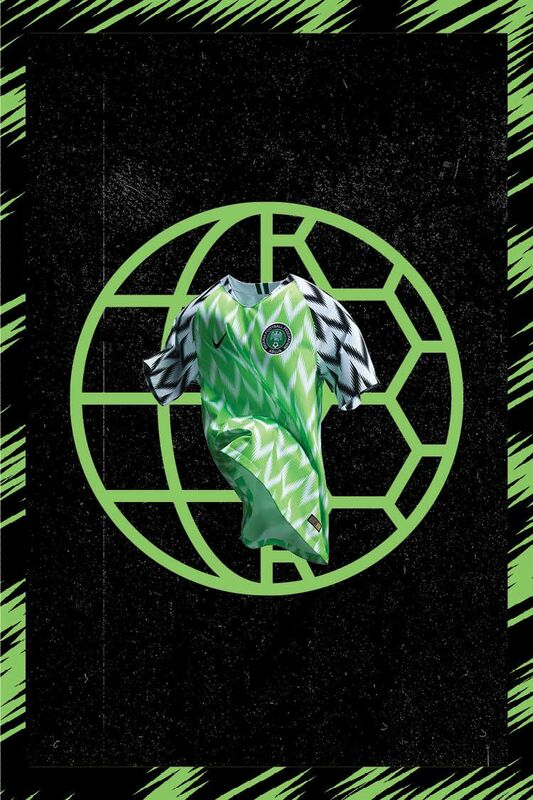 Every Nigeria Stadium Home Kit is made using recycled plastic bottles, diverting waste from landfills and transforming it into a bold statement. 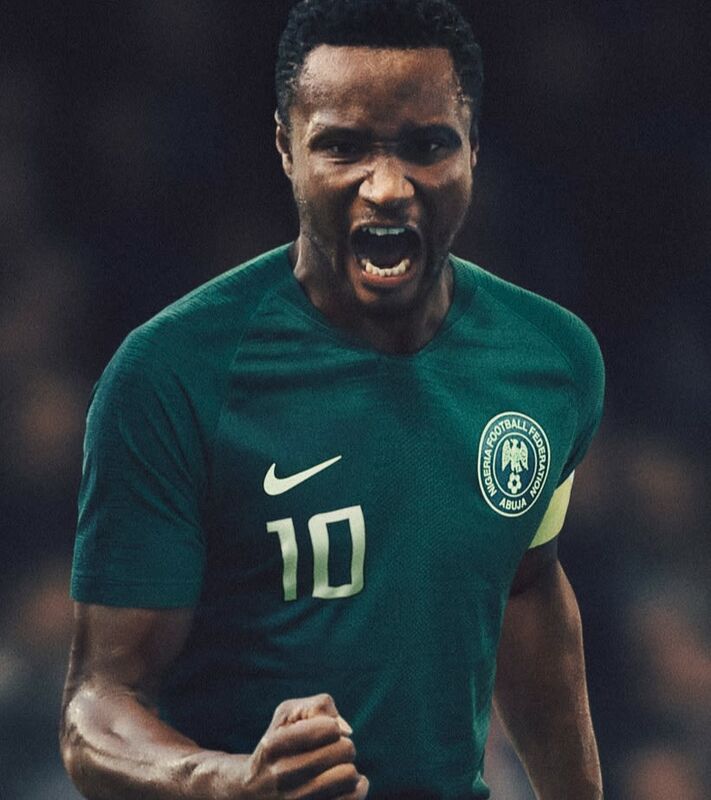 The shirt is designed to capture the pride of a nation, but it’s also engineered for sustainability – made to support all nations.